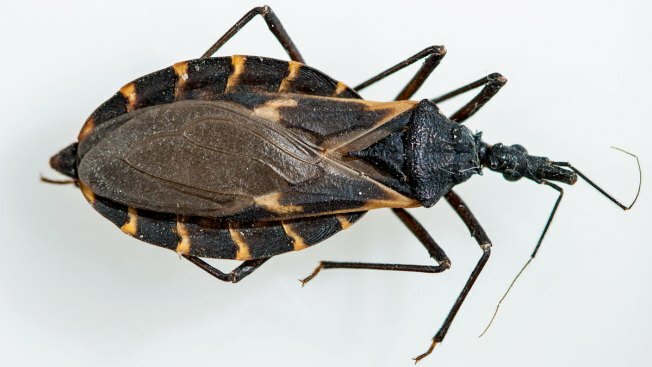 A Central Texas woman was treated for multiple bug bites she believes came from Kissing Bugs, which are known to carry a deadly parasite, a recent report says. A report by GoSanAngelo details the experience of Jennifer Bankston, who says she was sitting cross-legged on the deck of her parents' home in Mason, Texas -- about 200 miles west of Austin -- when her legs started itching and swelling. She counted about a dozen bites on each leg that doctors identified as Kissing Bug bites. Bankston said she was given a steroid shot to ease the swelling and a regimen of antibiotics and a cream for the bites. Bankston told GoSanAngelo she was waiting for detailed blood tests to confirm she hadn't been infected with Chagas, a disease carried by the Trypanosoma cruzi parasite. Triatominae, or the Kissing Bug, was the focus of a widely shared joint investigation between The Dallas Morning News and NBC DFW that highlighted the dangers and threat of Kissing Bugs, which are common in areas around Austin and San Antonio. An NBC 5 investigation also detailed how family pets can be infected with the parasite that causes Chagas disease. For detailed information on kissing bugs and how to identify them, click here.